This is the spot to find out what's new around Cooberry's website. 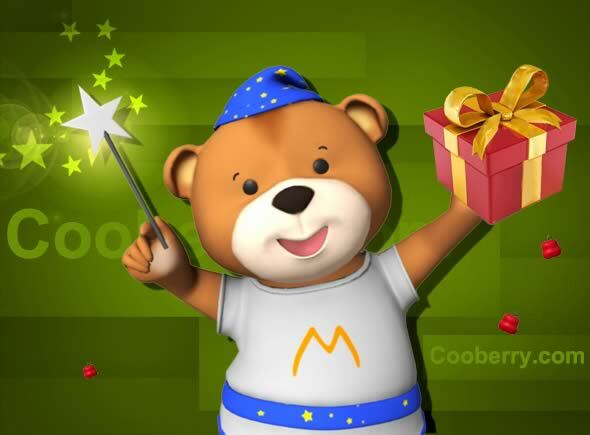 We'll give you a sneak peek at new ideas and characters we're thinking of bringing to Cooberry, we'll tell you about special giveaways, like screensavers (and more! ), and we'll let you know the best way to connect with Coobery around the web! In February of 2015, Cooberry.com unveils a completely new website. We're mobile-friendly now, offering exciting new uploads weekly and monthly. You can find our chapter books in audiobook format, and there are lots of exciting videos for our youngest readers. We hope you'll check it out! If you'd enjoyed our previous videos of JJ and the Wizard's Quest, you can find those at www.youtube.com/Cooberry1.